BULLETIN: GREAT DETECTIVE BAFFLED! 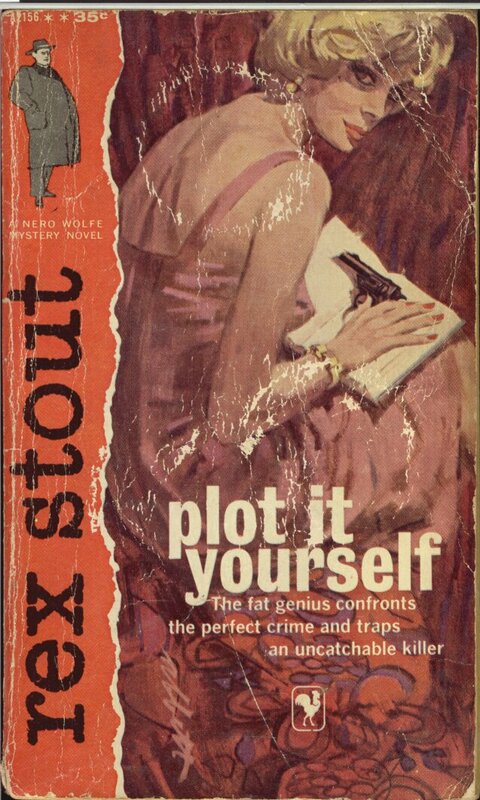 NERO WOLFE IDENTIFIES KILLER, BUT CANNOT PROVE CASE.BLACKMAILER-MURDERER MAY GO FREE! The incomparable Nero needs all his subtlety and wit to penetrate a twisted mind, and reach the stunning solution of a series of bold, bloody, brilliantly conceived murders that terrorize New York’s literary world. 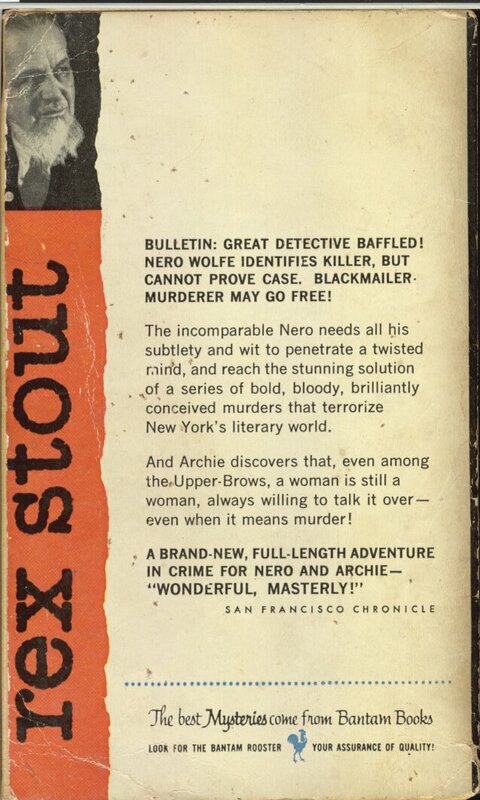 And Archie discovers that, even among the Upper-Brows, a woman is still a woman, always willing to talk it over – even when it means murder!